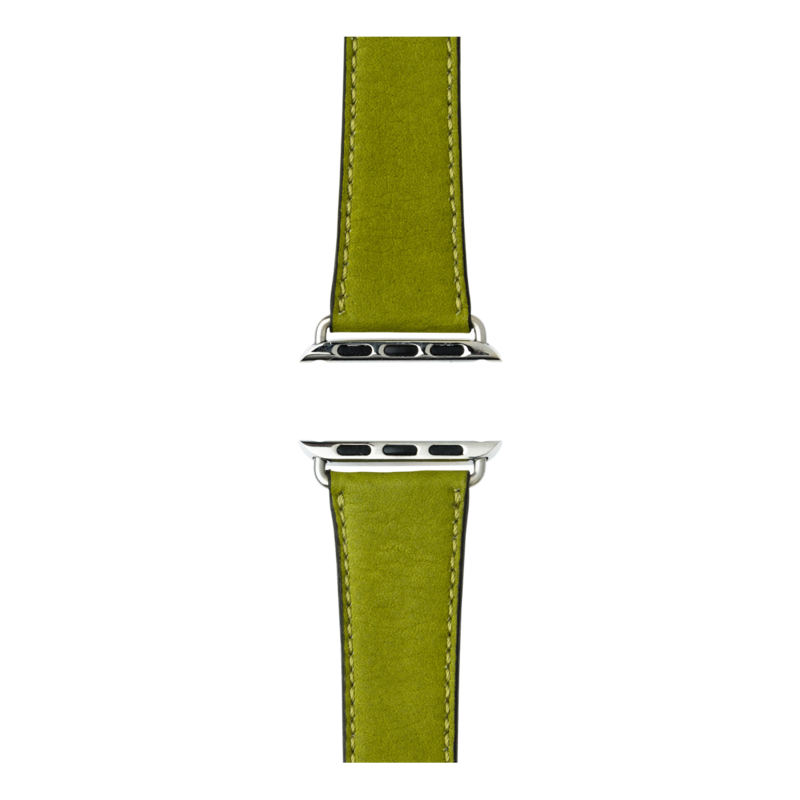 The hand-sewn and handcrafted elegant sauvage leather watchband is an understated classic featuring fine, full-grain Italian leather in a two-tone effect. 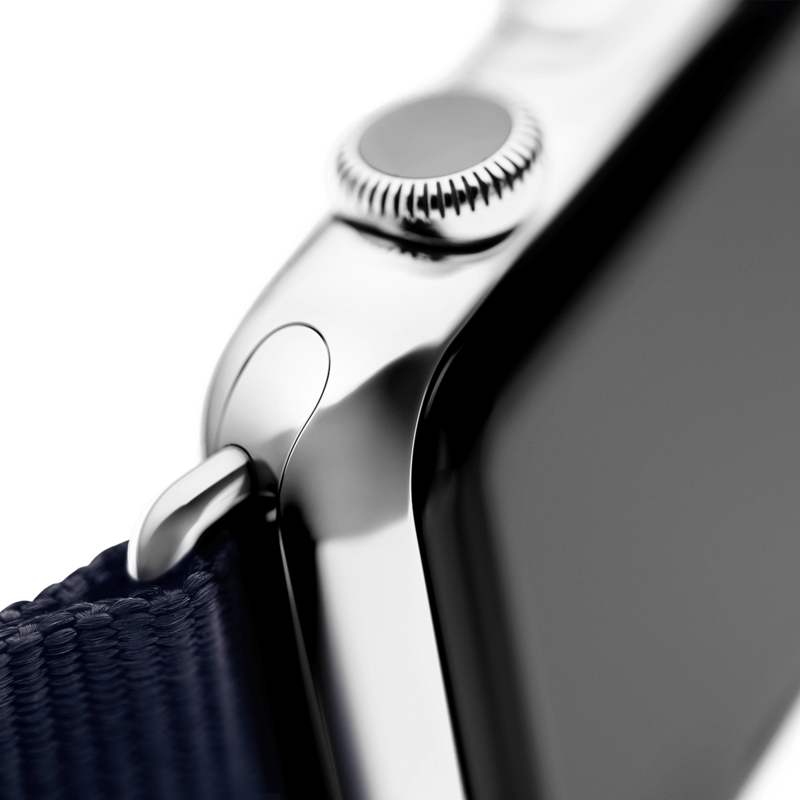 The skin-friendly leather lining offers exquisite wearing comfort. The matte design with hand-sewn, color-coordinated stitching gives you a tastefully elegant look. Ten selected colors from classic black to trendy pink perfectly complement your personal style for an individual look. 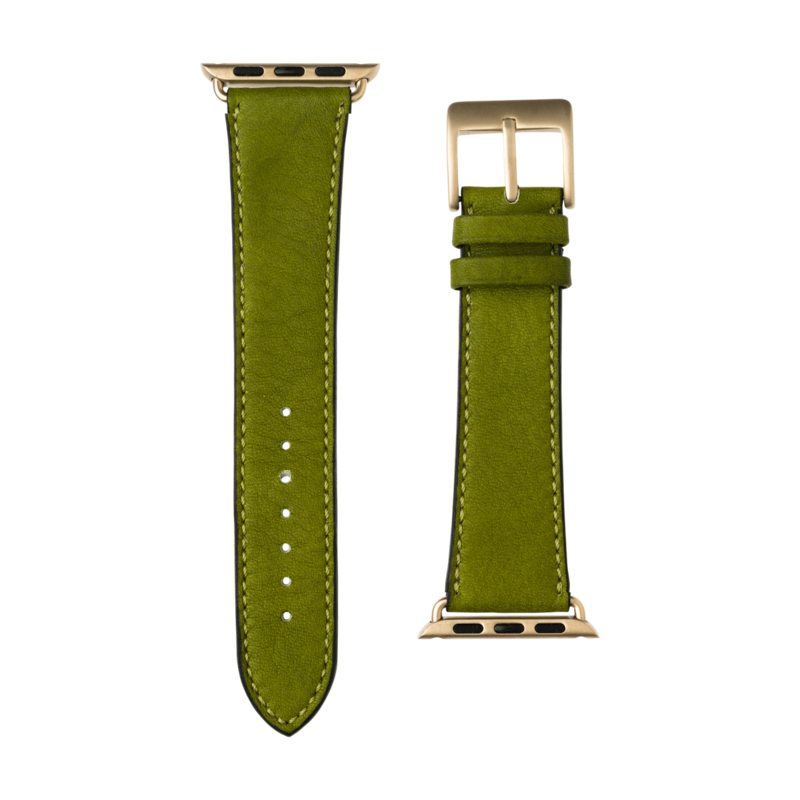 The aniline-dyed sauvage leather is tanned in a sustainable manner, and the leather complies with the European REACH regulation, of course. 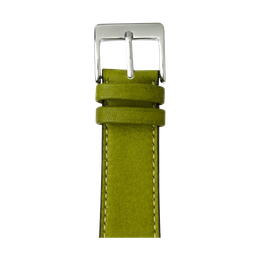 Made in Germany: Our sauvage leather watchbands are made by hand, sewn, assembled, designed and quality-assured in Germany. 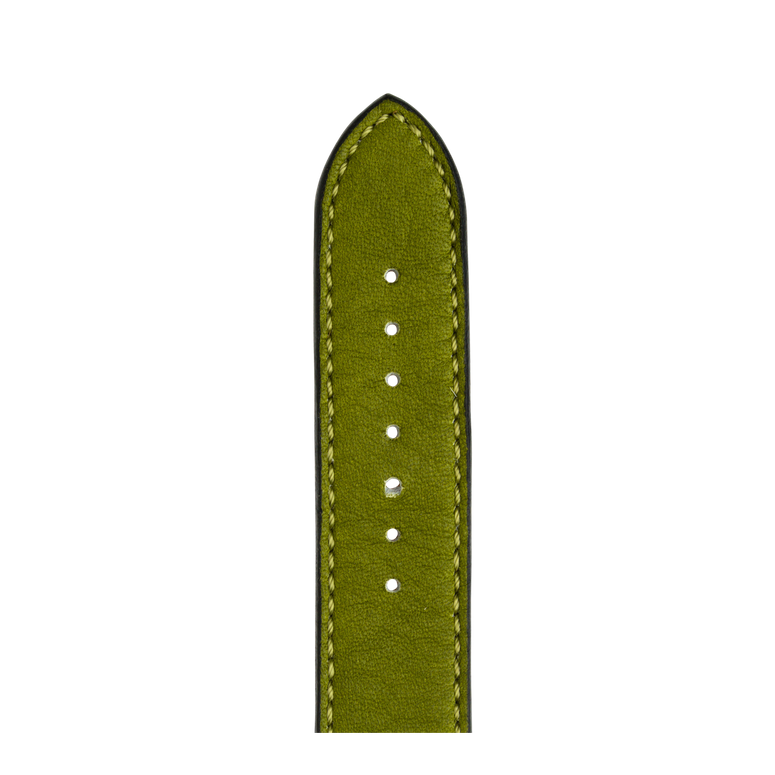 Handmade: The sauvage leather watchbands are made and sewn by hand in a complex, multistep process. 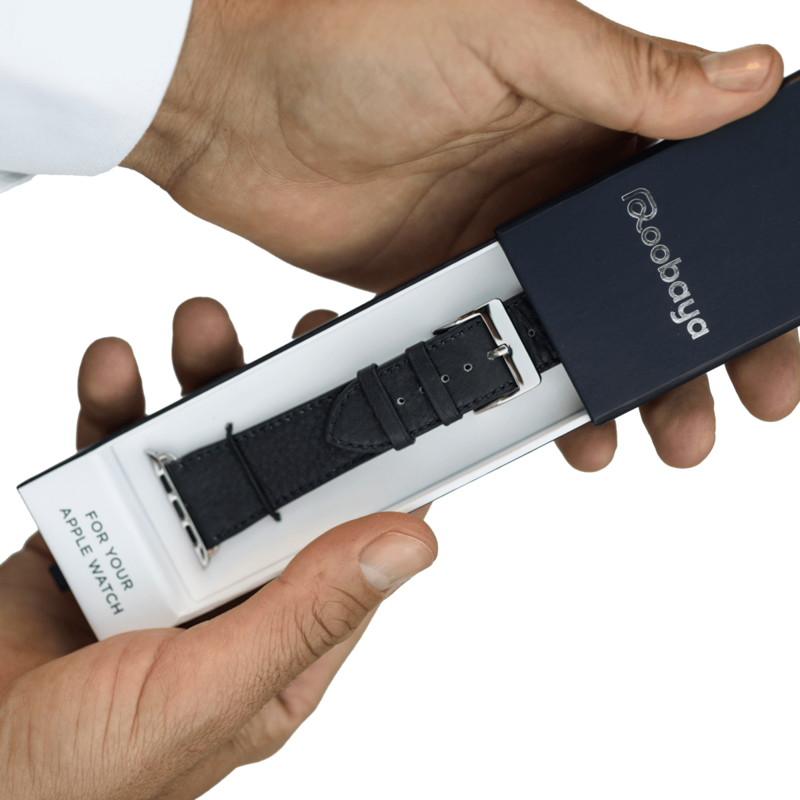 Completely fitted: Your sauvage leather watchband is already equipped with fitted adapters to ensure your Apple Watch is always securely attached to your wrist.